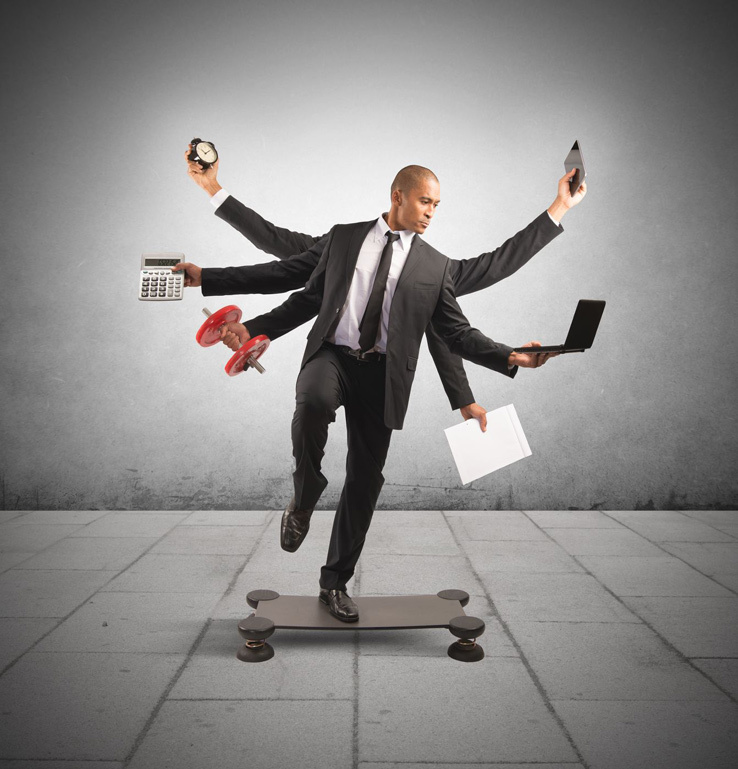 Is flextime the win-win situation it appears? With the work-life balance becoming increasingly one sided, flextime to many is the counterweight that bridges the gap between home and office. The notion of flextime generally requires employees to be in the office for a core time of the day with the periods either side of this being considered optional. While most would probably be inclined to take up the option of not turning in at all, staff are obliged to make up a certain number of hours a day/week/month or risk losing holidays, pay or even their employment. For example, the core time of the day could be 12-4, with 8-12 and 4-8 being consider 'flextime' where you're free to clock in or out to meet your needs. These times will vary wildly from company to company with staff expected to make up around 8 hours a day or an average of this over time. This flexible approach to the working day has been lauded by many with studies suggesting that it has seen an increase in job satisfaction and productivity. But is flextime really the win-win situation it appears? Many nine-to-fivers may find the idea of flextime an unattainable reality positioned in the realms of trusting and understanding bosses, but increasing numbers of the UK workforce are reaping the benefits of this soft working approach. Parents might consider themselves the biggest beneficiaries in the flextime stakes with the ability to plan family life around their jobs getting a big thumbs up from the noughties baby boomers. Of course the ability to juggle appointments, impromptu engagements and other facets of daily life without compromising earnings is advantageous to everyone. While personal life is often a barrier to an efficient working environment, giving employees a sense of control over their schedule will allow them to dedicate their best efforts to the office. Everyones work rate ebbs and flows as the day rolls on and giving morning people and insomniacs the opportunity to clock in during their most productive period, will limit procrastination. It will also enable staff to plan their travel around peak traffic and commuting times. Flextime isn't just about the minutes in the day though, but also where those minutes are spent, with many organisations appreciating that chaining people to their desks doesn't always produce the best results. Allowing people to work from home or enabling staff to work in a more creative space such as a coffee shop could see the formation of new ideas that wouldn't have been possible within the confines of an office environment. As for employers, the old adage that happy workers are productive workers comes into play with a significant increase in productivity being reported in flextime organisations. While there is no doubt that morale has played a part in this, the decrease in staff turnover as a result of job satisfaction could also be responsible. A low turnover results in a consistent team who are fully competent in their job roles, as well as saving the cost of recruiting and training new staff. With flextime seemingly more favourable to employees, it should come as no surprise that the challenges lie at the feet of those who pay them. Implementing a flextime plan can be troublesome and it's vital that employers fully understand the staffing needs of their business before adding fluidity to the office clock. Giving staff free rein can leave the business short on numbers at certain times of the day, whilst also increasing the difficulty of organising meetings with people who work to different schedules. There also has to be a certain level of employer-employee trust with the monitoring of staff being at a minimum. Unconventional working hours means that proprietors can't stand over the shoulders of their workforce every minute of the day, often resulting in a lack of discipline or compromising of office standards. Allowing people to work from home can be an even bigger problem in this respect, with a lack of supervision often resulting in less focus. While a more comfortable environment can see an improvement in productivity, the distractions of home life can easily cancel this out, with employees having to appreciate that flextime is not another word for 'day off.' Additionally, reducing face to face interaction can weaken relationships with colleagues and superiors, sometimes creating a divide between the employee and the company as a whole. Before employers send in their application for boss of the year, they should acknowledge that introducing flextime doesn't work for every business and some staff may even show resistance to the lack of structure and those who take advantage of it. Even with advances in technology, a company that requires constant communication amongst teams will find it difficult to adapt to an undefined working timetable. Flextime can also prove to be counterproductive with no definitive end to the day resulting in an ongoing work culture that's more restrictive than flexible. Of course, those that just want to dip their toe into the notion of flextime might find a limited proposal more pragmatic, perhaps offering 30mins either side of the working day to appease employees. Whatever option they choose, employers might just find that allowing creative and trusted individuals to manage themselves in time and place, could improve morale, the quality of ideas and ultimately the overall productivity of the business.